There is a saying, "What goes ON you, goes IN you". Many people don't realize that our lotions, moisturizers, serums, and other beauty products will interact with the skin and can enter into the blood stream. Don't believe me? Have you ever heard of a lidocaine cream, motion sickness patch or a nicotine patch? They work by passing a medicine through the skin and entering the blood stream to cause a given effect. It's science, people! The skin is a powerful organ which has the ability to begin absorbing anything applied to it in about 26 seconds. This absorption of chemicals from beauty products is why I believe that it's so important to know exactly what I am putting on my body and on my family. 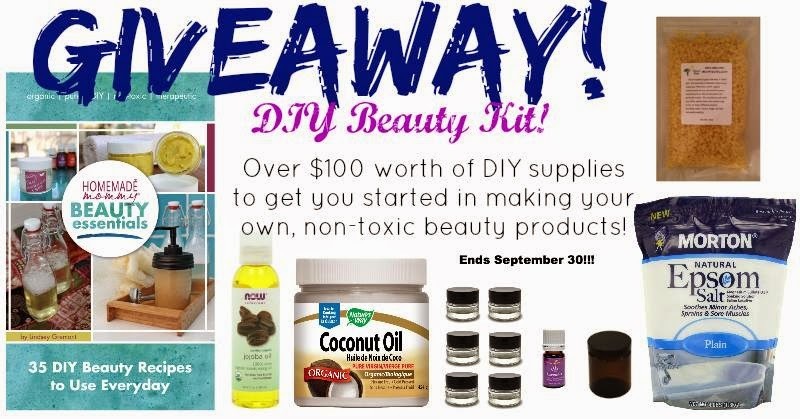 I began using the Environment Working Group's product guide (The Skin Deep Database) a few years ago to look at the toxic load of my store bought beauty products. It blew my mind! I thought I was being safe when I purchased products that claimed to be green or all natural, but I found that some of them were only a little better than their chemical loaded counterparts!! In the United States, the cosmetic industry is a 50 billion dollar industry that is sadly basically self-regulated. The Campaign of Safe Cosmetics states that, "Under the current law, the FDA can't require cosmetics companies to conduct safety assessments, and can’t even require product recalls". In fact, thousands of ingredients which are commonly used in the US Markets are banned within other countries! I don't know about you, but I have no desire to be part of an industry that is not required to prove it's safety. If you want to read more about how our laws aren't protecting the consumer, then please read this great article The Ugly Truth about Chemicals Used in Cosmetics by Lindsay Dahl. I have to give the credit to my friends Darlene and Lindsay for this idea! 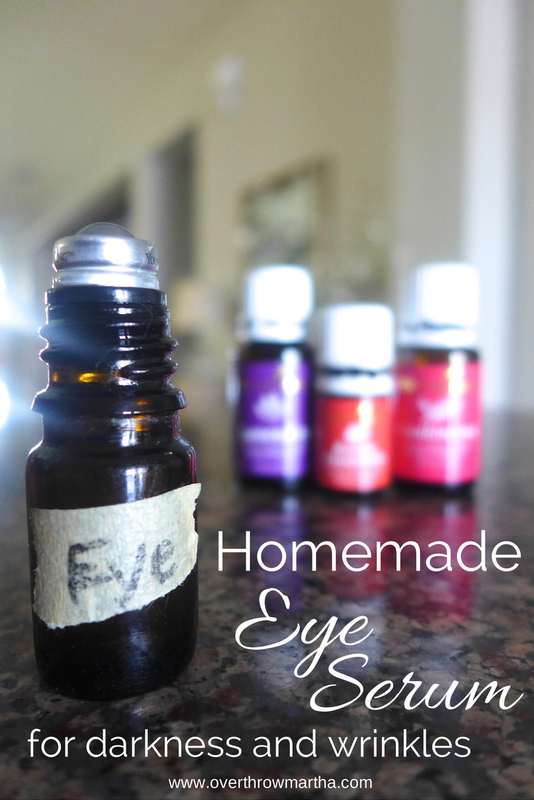 In our Facebook Group, they said that they use lavender essential oil around their eyes to help with puffy eyes. I thought that was just brilliant and further proved why I'm so obsessed with lavender essential oil. But you know me-- I'm always trying to take things to the next level! 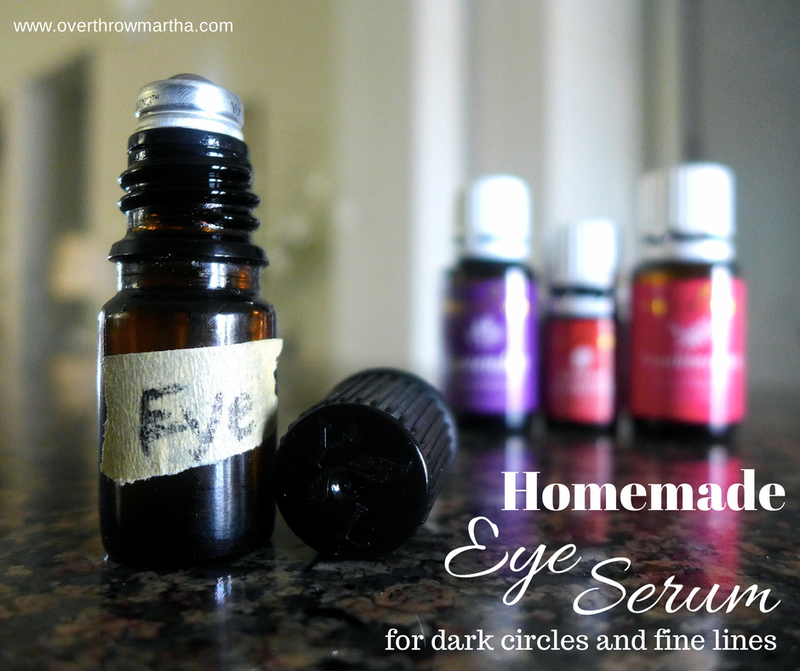 So, this great idea from these two ladies got me thinking: what if I could make a serum that not only helped their eyes, but also supported healthy skin around the eyes! To be honest, I'm pretty amazed at the results. One morning I looked at myself in the mirror and the darkness was so reduced that I could barely see it! I squeal. Seriously.